List building is never going to be a thing of the past – let me just start with that – It’s never going away as long as there are internet businesses (and a chunk of brick and mortar ones too) and what you need to know is that most of the reasons that are keeping you from list building are either false or blown out of proportions. This is soooo not true. I’ve been doing this for 5 years and in that time I’ve seen dozens and dozens of ways to list build, seriously it all depends on your abilities, your desires, your preferences and what your target audience will respond to. Don’t let anyone tell you that you MUST list build a certain way and that only one way works for your niche. Total poppycock (and yes that’s a word, happens to be a fun way of saying it’s a load of BS in a cute way). Anyone telling you that there is only a limited amount of list building techniques that you should embrace is trying to SELL YOU on their prefered method, or scare you into something. Drives me bonkers. What is TRUE is that you’re going to try out a few different kinds of list building and then settle on the ones that are a fit for you and your audience. It’s not trial and error because almost all styles of list building will work to some degree for you, it’s more like finding the right one that sings to your creativity and hits the chord with your niche. Not true, pinch me now because that is is a load of crap. I’ve had a client who used a list build to grow her list to 550, that was it. 550 VERY TARGETED LEADS and she was able to close 5 new private clients on 12 month packages, $700 down, $550 a month for 12 months. She did this in a matter of 4 weeks from that list build. That’s a total of $36,500 in income from a super small list. Her open rates for her emails are WAYYYY above 40% and her click through rate is in the high teens or mid 20%. I recently began working with a client who has over 10 THOUSAND on her list, and she’s had VERY VERY little sales from this list. Why? Because she build it with very untargeted means and her list is too broad and not niched in. Her sales? Even though she sends emails each week to this gargantuan list, she has a VERY low open rate (like 10%,), her click through rate is single digits and her total sales from her list last year was $28,800. That’s it! And she paid THOUSANDS out to VA’s to get help in growing that list. I shocked her into silence when I told her my plan to cull her list by at least half, and weed out everyone who isn’t dying to hear what my client has to say. Truth is, it doesn’t matter at all the list size, what matters is that it’s ENGAGED, that it’s NICHED IN and that you cater to that list with your aligned products and services. I watch a lot of internet marketers… not in the creepy stalker way, but in that I regularly will opt into other online marketers free gifts on their websites etc to see what they are offering. I will opt in, see what they are offering and it helps me gauge the trends out there. It also allows me to see who is ACTUALLY offering any value. I recently just opted in to a potential client’s website opt in to see what they were offering and what I got shocked me. I received a 1 page pdf with a total of 244 words on it, broken into 3 paragraphs. THREE PARAGRAPHS of content that I googled and found were plagiarized right from the top hit on Google for her niche. Plagiarism aside, the problem with this is there was pretty much zero value given in return for my email address. In 3 paragraphs of 244 words, I basically learned nothing. Your lead magnet CAN be short, that is for sure, but it MUST provide value. It has to solve a problem and leave the recipient with a clearer understanding than before they read/watched/received your lead magnet. Check out one of our lead magnets here. 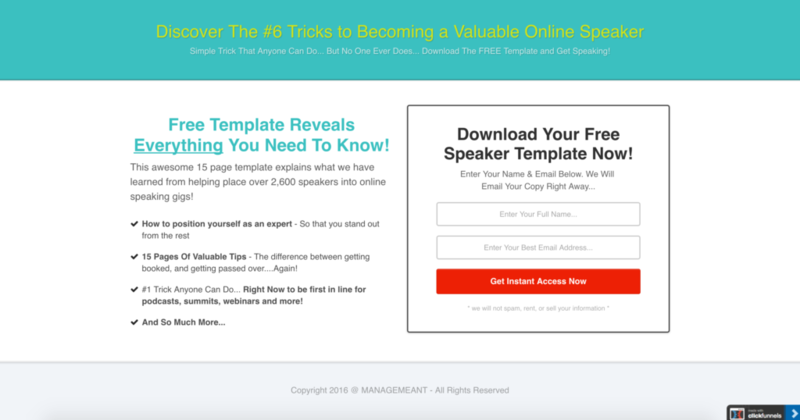 This lead magnet download is actually 15 pages of what we believe to be USEFUL content for those who sign up, and we have received feedback from subscribers that they found it to be helpful. We have other lead magnets we use that are a free video, or a combo of a video and PDF download or even an audio. But the constant is, we have to feel it delivers on value or we don’t put it out. Popups are annoying, I click away from them most of the time, but SOME catch my eye, and have even had me opt in. Plus it’s been proven that pop ups work! (sauce). You will actually increase your opt ins about 2% of the time with your added pop up. And when you’re driving very targeted traffic to your opt in to begin with, that 2% increase in opt ins can be a significant increase in the number of potential clients. Popups might be annoying, BUT they do work, and since a lot of software we use to create them these days make them less intrusive, and more intuitive, they are actually less annoying than they were just a few years ago. Check out Sumo.com for their free popup plugin (plus they have a bunch of very cool plugins to help grow your list). I kid you not, this is the one that gets me the most. SOME list builds will need you to throw some money at them because you will need the help of a pro (ahem… moi 😍) to help you strategize, build out and execute on your list build – like a summit!. But here’s the rub, YOU CAN LIST BUILD FOR FREE! You can start with Mailchimp and pay nothing until your list is at 2k, you can build a website for next to nothing (might have to buy a URL and hosting depending on where you are so far) and you can build out your lead magnet and your opt in forms using things like Canva, YouTube and Sumo.com for your popup. Now that’s the dirt cheap way, and it’s just to get you started. And if you know me at all, then you know I do NOT push expensive products on people for the sake of it. 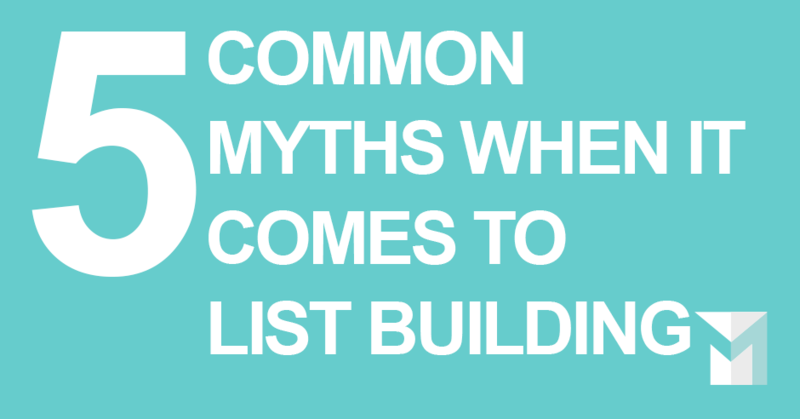 List building can be done for free, for dirt cheap, sure but at some point you need to get something more robust and be more methodical about your list building. We host our sites with GoDaddy.com because we really love their customer service and we find working with them to be worth every penny we pay for our hosting and our URL’s. We use Aweber email marketing software to house our list for us and we love them. We’ve used Mailchimp when we first started out but quickly outgrew them and suggest that if you plan on growing your list by any substantial means, go with a tool like Aweber right from the get go. It’s easy to use and I’ve recently received an email that they are adding even more amazing features to their software. Yay! I LOVE CLICKFUNNELS!! Clickfunnels is a huge part of our business, we build sales pages on it, lead magnets, our webinar opt in pages on it… and we can add sales forms and take payment with it, plus it integrates with Stripe, and Aweber and a ton of other services. Clickfunnels is EASY to use because it comes with preloaded templates plus the pages are drag and drop to customize them to your look and feel.I got this software on a 14 day trial and now pay $97 a month for it, WELL WORTH IT. Just check out one of our pages we built that’s converting at 80%!! How do I know it’s worth it? We split tested an opt in page for a webinar on Clickfunnels vs one we created from scratch on our website and guess what? The website one was converting at 18%… and on Clickfunnels…. over 78%!!! Yeah I will take those numbers ALLLL DAY LONG. Here’s the link to get a 14 day trial for yourself. We also use OptimizePress plugin for WordPress for some of what we do, things such as summit opt in pages instead of ClickFunnels because there are some pages that we just prefer to have completely within our domain and built into our website and OptimizePress is a great drag and drop builder (can you tell I like the drag and drops?) We spend $97 a year on OptimizePress and they just added a bunch of new templates and features that I think are stellar. Check it out here. I really hope that you’ve found this post useful – the 5 myths are hopefully dispelled for you! Now that you’ve read this (and honestly if you made it to the end, you’re a saint because I know this one has been long!) and you have list building questions this is where I love to share that you can get on a free call with me and ask me anything you want about list building, no sales gimmicks, nothing, just straight list building strategy talk 🙂 If you want to have that chat – here’s the link to book a time. Also make sure you’re in our Facebook group M Community – growing fast and full of awesome entrepreneurs like you 😎.